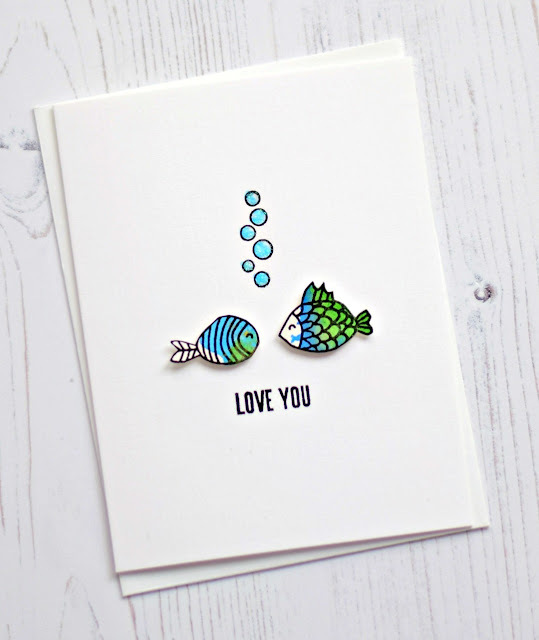 Another card using Memory Box's Fishy Tales. May be addicted to these fish. These are popped up and combined with a sentiment from a Hero Arts messages assortment set. Hero Arts releases a few of these a year and I use them ALL the time. Added a little glitter to the bubbles for obvious reasons (HA). More cuteness! I'm in love with these fish!